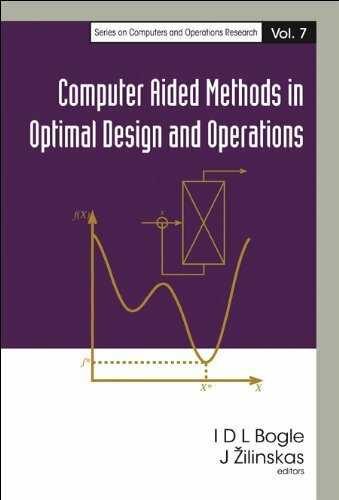 [PDF] Computer Aided Methods in Optimal Design and Operations (Series on Computers and Operations Research) | Free eBooks Download - EBOOKEE! Description: This book covers different topics on optimal design and operations with particular emphasis on chemical engineering applications. A wide range of optimization methods - deterministic, stochastic, global and hybrid - are considered. Containing papers presented at the bilateral workshop by British and Lithuanian scientists, the book brings together researchers' contributions from different fields - chemical engineering including reaction and separation processes, food and biological production, as well as business cycle optimization, bankruptcy, protein analysis and bioinformatics. No comments for "[PDF] Computer Aided Methods in Optimal Design and Operations (Series on Computers and Operations Research)".